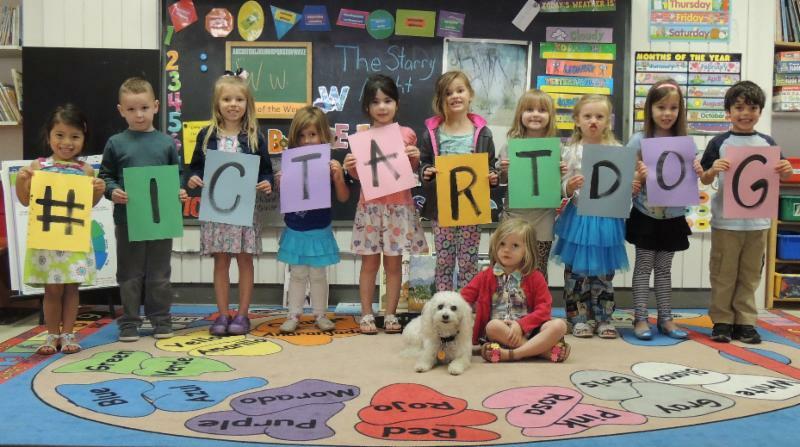 Celebrate the arts during ArtDOG a charitable giving campaign project of Wichita Community Foundation. New this year is a photo contest and we are pleased the Center is one of the finalists. Help us win the $500 prize by “liking” the Wichita Community Foundations page on Facebook and then “liking” this photo before the contest ends on April 23. Take a look inside the Center’s seven different art studios and meet some of our students and instructors from 10 a.m. – 5 p.m.
Join the fun by taking part in different painting and drawing activities from 1 – 4 p.m. Enjoy the National Fiber Directions Exhibition and the concurrent exhibition in alliance with Frank Lloyd Wright’s Allen House in our Gallery from 1 – 5 p.m. Please consider donating to Wichita Center for the Arts at ICTArtDOG.org on ArtDOG, April 24. Your gift will benefit our school, gallery and theatre. Thank you for helping to inspire the artist in each of us!